Where Was the Fight for IMF Leadership? Dominque Strauss-Kahn's fall from grace was an opportunity to seize the moment and keep the G20 to their word for allowing a merit-based system. But where was the fight between European countries and emerging market economies on who will take the helm? The IMF was in the limelight for all the wrong reasons this past month. There is more to this story, however, than the charges laid against Dominque Strauss-Kahn. From the early days of his appointment, state capitals were anticipating the departure of Strauss-Kahn to French politics and many had then expected that the next head of the organization would make IMF history by finally breaking the long convention of a European head. But where was the fight between European countries and emerging market economies on who will take the helm of this once obscure international financial organization? Emerging market economies like China, India, Brazil and others had long called for a transition to a merit-based selection process whereby the European and U.S. convention of nominating a European national to take the top job was passé and did not reflect the southern shift of power in the global economy. These rising economies -- often referred to as the BRICs (Brazil, Russia, India, China) or the N11 -- had pointed out that the IMF suffered a legitimacy crisis during and subsequent to the Asian financial crisis and that this in part motivated a number of countries to amass foreign exchange reserves to self-ensure against resorting to IMF lending in the future. This contributed to what was referred to as the global economic imbalance in savings and in part may have facilitated unscrupulous actors in international capital markets to devise packaged toxic assets as innovative ways of shoring up market liquidity. Long story short: some had argued that if emerging market economies had more faith in the workings of the IMF and accorded the IMF some legitimacy, perhaps they would not have amassed their global savings and instead deposit them into the international monetary system and the fund itself. Emerging market economies had long argued that one of the key and symbolic ways that the IMF and Western economies could demonstrate their sincerity in giving the emerging market economies more power and say in the organization was to end the archaic tradition of appointing a European to run an organization that then mainly affected the developing world and the emerging market economies. The cries of emerging market economies were finally acknowledged in 2009 as both the G20 and the IMF's own executive board agreed that the next IMF managing director should be elected based on merit. For emerging market economies, this was code for saying that the Europeans and leading Western states would allow the rest of the world to put forth qualified candidates from their flock. What a difference a few years can make. Few European leaders would have ever expected that many of their neighbours would move from being creditors in the organization and become its debtors. Back-pedaling from previous commitments, the European countries complained at the recent IMF spring meetings that having a European at the helm of the IMF was ever more important today. Europe needed an IMF leader from the region who understood the political, economic, and social challenges facing European capitals to effectively devise economic policies that are tailored to the needs of the fragile European economies. How ironic that European states now recognized the great value of having the IMF head reflect the make-up of fund debtors. The very same rationale had been used by former debtors in emerging market economies and developing countries on why they wanted an IMF managing director who understood the challenges of implementing loan conditions in fragile polities. Beyond this ironic turn of events, why did the emerging market economies not fight for a say in who should lead the IMF? Strauss-Kahn's fall from grace was an opportunity to seize the moment and keep the G20 to their word for allowing a merit-based system, but the emerging market economies looked more like followers than leaders in the ensuing weeks. This non-battle for IMF leadership is best explained by continued divisions among emerging market economies. Two heavyweights, China and India, continue to have geopolitical divisions and neither would support the other's candidates. The Chinese would also have little success in nominating one of their own. After all, China is still a communist country that has yet to liberalize its exchange rate; two principles that are antithetical to IMF views of the proper workings of a world economy. Brazil, a prospective regional hegemon, would not support the Mexican candidate who in their view was a proxy vote for the United States. Finally, Russia has yet to garner geopolitical support beyond its own ex-Soviet sphere of influence. In short, the unity of Europe around one candidate will likely mean a coronation of Christine Lagarde, despite the missed opportunity for emerging market economies to claim their rightful role at the helm of the IMF. 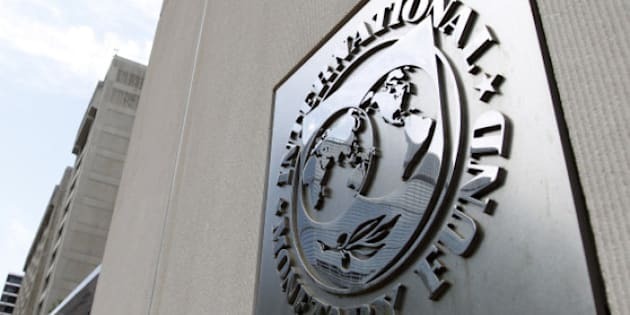 The emerging market economies did not put up a fight for IMF leadership despite years of complaining about the Western convention of European leadership at the IMF and they are the only ones to bear the blame for failing to unite behind a candidate of their own.